Back in 2013, when this blog was but a fledgling, I thought it would be clever, as my very first post, to discuss Tchaikovsky creating his first symphony. The post, entitled “Creating the First” applied to both him and me, you see. I just love Tchaikovsky’s Symphony No. 1 and I love the story behind it. However, since it was the first post in a blog that had zero readers besides my husband, a few of my siblings and/or saintly friends, well, it didn’t get much reading coverage. So, indulge me, dear reader. And do read on. It’s a great story and a great work of music. To this day, it’s one of my favorites among Tchaikovsky’s many treasures. 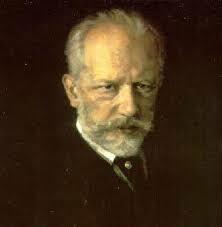 While a longtime fan of Tchaikovsky, I must confess that, up to a year ago, I’d never heard his Symphony no. 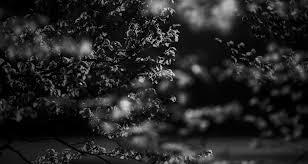 1, subtitled Winter Daydreams. Further, a lot of times you have to hear a symphony a few times before it impacts you. You sit in your symphony seat and think, Hmm. Interesting. Possibilities. Not this one. The music slipped right past my inner-music-critic, through the back door of my heart and settled right into place with an uncanny familiarity and sense of rightness. It produced a palpable thrill, a quickening in my heart. All I could think, that night at the San Francisco Symphony, was, “where have you been all my life?” And to think it had been there all along, overlooked, tucked beneath the majesty and weight of Tchaikovsky’s later symphonies. My fondness for Winter Daydreams has only grown since that first listening experience. Interesting, then, to learn that such a lovely, assured, balanced symphony actualized only after a tremendous struggle. Program notes, CD liner notes and the Internet have provided me with a fascinating (if conflicting) history of this symphony’s creation. The story has it that Pyotr, twenty-six, newly graduated from the St. Petersburg Conservatory, struggled terribly with it, partly owing to his challenges with writing in the era’s accepted symphonic style. His former tutors, Anton Rubinstein, founder of the St. Petersburg Conservatory, and Nikolai Zaremba, were slavish followers of the symphonic model established by Haydn, Mozart, reinforced by Beethoven. It’s also what they wanted to see from their Russian students. Tchaikovsky had tried, of course, to emulate the masters, their Germanic form with its rules of exposition and proper development, but kept falling short. His efforts sounded melodic, not symphonic. They sounded Russian, imbued with folkloric character and flavor. When Tchaikovsky tried to make his music sound like Beethoven, all that came out was Tchaikovsky. 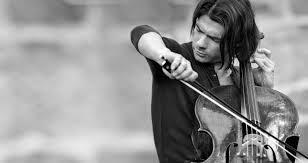 The symphony work challenged him, taunted him, stressed him to the point of near-breakdown, but he persevered. Rubenstein: [Shoves Tchaikovsky’s score back across the desk.] It’s lame. Fix it. Zaremba: Yeah. What he said. Tchaikovsky: Okay, so how’s this? Rubenstein: [Shoves Tchaikovsky’s score back across the desk.] Meh. Rubenstein: [Shrugs.] Typical, know-it-all, new conservatory graduate. Zaremba: Don’t worry. History will eventually prove whose is the greater talent. Rubenstein: Well, except you might not like how short your Wiki is. Zaremba: [Hesitates.] What’s a Wiki? Rubenstein: That’s exactly the right attitude to take, my good fellow! Tchaikovsky went home, looked over the revisions he’d made to suit his former tutors and realized they were as “meh” as they’d accused. 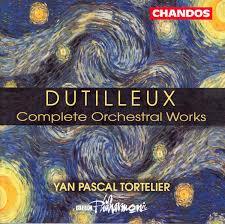 Over the next few months he switched it all back to the original, 100% Tchaikovsky version. Well, 95%, because, as it turns out, he’d thrown away some of his original notes and therefore, within the first movement, had to keep the revised second thematic voice, incorporating Zaremba’s suggestions. It worked. 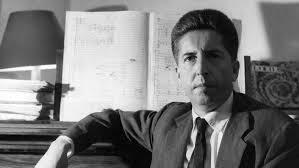 Pieces had previously been considered performance-worthy: the Adagio, then the Adagio and Scherzo, but only now did the full symphony find favor, with Rubinstein’s brother Nikolai, in charge at the Moscow Conservatory. In February 1868, it was performed, and deemed a success. Oddly, Tchaikovsky whisked it back into his possession, pulling it out to revise again, years later, and its second performance wasn’t until 1874. Winter Daydreams is a delight: fresh, assured and just plain fun to listen to. The violins introduce the first movement with a shimmering, sweet tremolo, giving it a dreamy, gossamer texture, that perfectly illustrates the movement’s subtitle, “Daydreams of a Winter Journey.” Listening, a shivery magical feeling comes over me. I’m a child again, listening with wonder as the music conjures the excitement, the thrill of dreaming, a young person’s imminent discovery of the wonders of the adult world. The second movement, the Adagio, subtitled “Land of Gloom, Land of Mists,” is not gloomy in the least. It’s lovely, textured, evocative. Images come to mind, a winter twilight, being indoors with a fire crackling in the grate, roasting smells wafting from the kitchen and outside, snow gently falling. Yeah, that kind of feeling. The third movement, the Scherzo, more lighthearted and jaunty, offers melodic little precursors to Nutcracker’s “Waltz of the Flowers,” and displays the broad, sweeping expansiveness of Tchaikovsky’s music, so perfect for dance. What challenged Tchaikovsky so much in the symphonic form is decidedly spot-on for the ballet. You’ve got to admire the man’s spirit and tenacity, not to mention his musical genius. You’ve got to love his Winter Daydreams. Or at least get out there and give it a listen. If you’re a Tchaikovsky fan, it won’t disappoint. This entry was posted in Classical Music and tagged Anton Rubinstein, Nikolai Zaremba, Tchaikovsky, Tchaikovsky's Symphony No. 1, Winter Dreams on June 21, 2015 by admin.